Well, here we are girls and boys – our beautiful British summer is now in full flow, and what a glorious summer it is, with some wonderful long, hot days and balmy evenings. 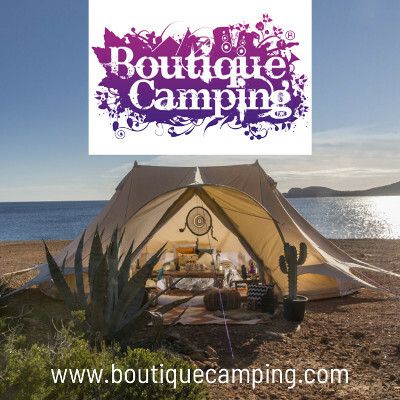 It’s certainly shaping up to be a great season for the glamping industry, with individual glampsites enjoying good booking rates, and online marketing companies boasting a healthy increase in bookings on last year. Hardly surprising really, as more people look for something deeper than a package holiday, the number of staycations increase, and the ‘back to nature’ tourism and leisure movements show no signs of cooling off. Glamping remains, in my opinion at least, bang on trend. I’ve spent more time than usual at my desk lately, number crunching. In particular, one project has contributed to a few late (and sleepless) nights because I was working out the opposite of what I usually do – how much revenue a project might have to lose. It was a unique situation where the quality of the location was, through no fault of the landowner, about to be heavily compromised. So much so, I ultimately had to suggest that the glamping build should not go ahead. After a year of meetings, landscape design, bespoke structure design, planning application issues, and no small amount of investment, it was a demoralising decision. 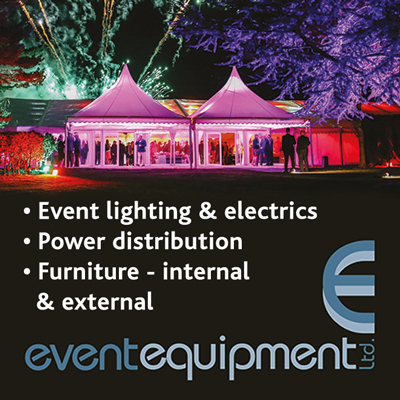 However, certain criteria are critical to a glamping business’s success, and if one of them is taken away, we simply don’t have a business. 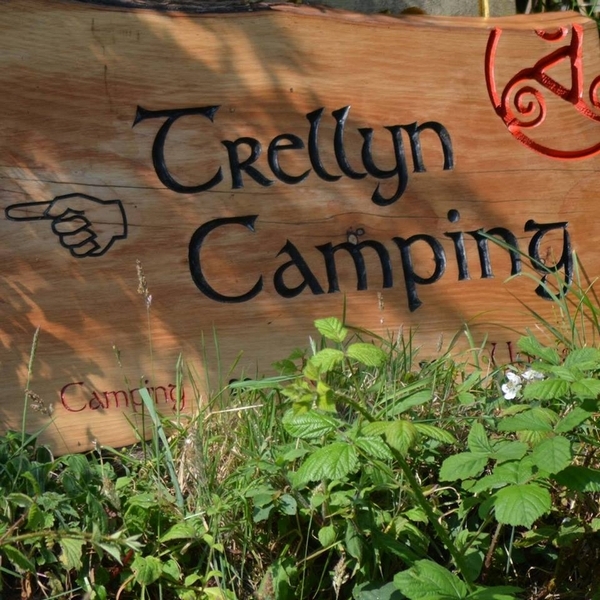 On a more positive note, I broke away from the desk to visit this month’s case study glamping site, Trellyn Woodland Camping in Pembrokeshire. I really enjoyed exchanging ideas and discussing our industry with owners, UK glamping pioneers Kevin and Claire Bird. In the evenings I took in the other side of the business by chatting with guests around the campfire and was happily reassured just why people enjoy and need their glamping breaks “every year, no matter what”. By Kevin’s own admission, Trellyn does little advertising, and its website could be a better example of digital marketing. Even so, they run at over 90% occupancy with a covetable repeat booking rate, and their guests love the place. However, it took Kevin and Claire some years to achieve this and even though they close for winter, when they are open they work hard. 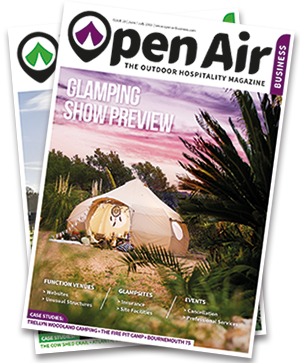 The type of glamping they offer falls very much into the ‘lifestyle’ model (see OAB Issue 11 for ‘Glamping Business Models’) where it is entirely about the space and experiences that we create for our guests. I’m not going to elaborate on that, however, because after years of having done so, I know I’ll sound like a broken record. Now and then, you’ll see a report that a planning application for a glamping site has been refused. The most recent one being in an AONB, on the basis that it would spoil the character, a common objection. Planning is probably the most common pinch point where a glamping site gets stuck, and I’m being asked more often these days to write supporting letters. 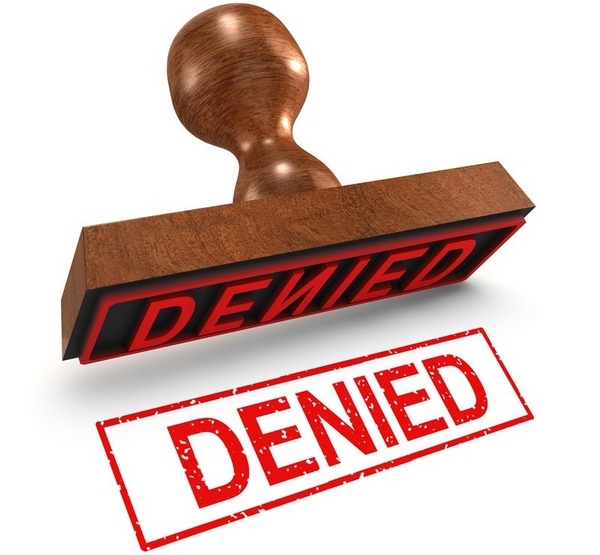 Sometimes there are good reasons for a refusal, and sometimes not. Either way, it’s a frustrating barrier to come up against when many hours of work and costs have gone into the project. An experienced planning consultant should smooth the process and head off foreseeable issues, but if you’re putting in the application yourself, do ensure you’ve done your homework, checked local requirements, and ticked as many relevant boxes as possible. Incomplete and badly researched DIY applications can sometimes be the problem. 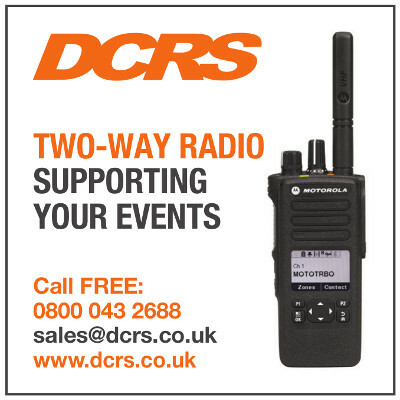 If you’re stuck I’m happy to have a quick chat and point you in the right direction if I can, and sometimes there are other options. One tourism sector seems to be getting more exposure lately, and that’s sustainable and ethical holidays. Perhaps one reason is increasing publicity, and therefore public awareness, around pollution and ecology issues – one current example being the volume of plastic in our oceans, and its devastating effects on marine life. 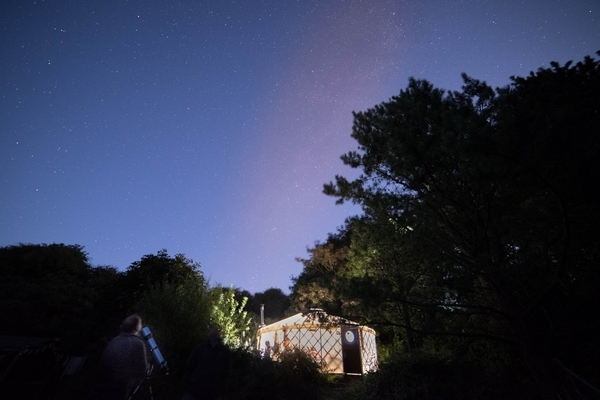 Glamping started out as a grass-roots, low-impact holiday option, and while some glamping developments don’t currently share that ethos, a lot still do by employing at least some aspects of sustainability. At last, a wider variety of hospitality businesses are also taking steps in the same direction, with some big hotel chains announcing a total ban on single-use plastics by the end of 2018. It makes sense for the hospitality industry, as a whole, to do even more, especially when a recent booking.com survey revealed that 67% of customers are willing to spend at least 5% more for their holiday to have a minimal environmental impact. While booking.com won’t represent every demographic, they are big enough to make these results noteworthy. Welsh businessman, Lawrence Jones, has big investment plans for a former quarry site at Hafod y Wern in Snowdonia, North Wales, an area which he believes needs more investment. The plans include a small but iconic hotel and a glamping development, which he says will create much needed jobs and increased tourism spend in the area. Lawrence has spent 10 years looking for a suitable site, and now that he’s found it, the planning application will be going in very soon. Let’s hope he doesn’t encounter the same problems as our friends in the AONB. I see more developments being planned for Wales, and sure enough, it needs the investment. One to watch. To Animal World in Disney, Florida, where two lucky people will experience a glamping stay in the new $500 million development dedicated to the movie ‘Avatar’. 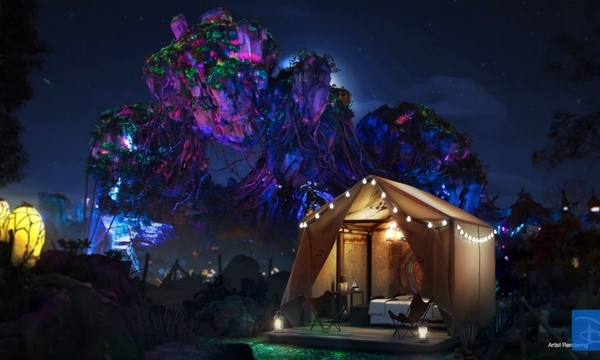 Disney is running a competition to win a ‘once in a lifetime adventure’ – a three night VIP experience which includes one night glamping under the floating mountains of Pandora. Disney promises ‘custom experiences’ and, as we might expect, the promo video couldn’t be more spectacular. Having been to Disney in Florida and seen their level of professionalism and attention to detail, this does indeed promise to be a once in a lifetime opportunity. 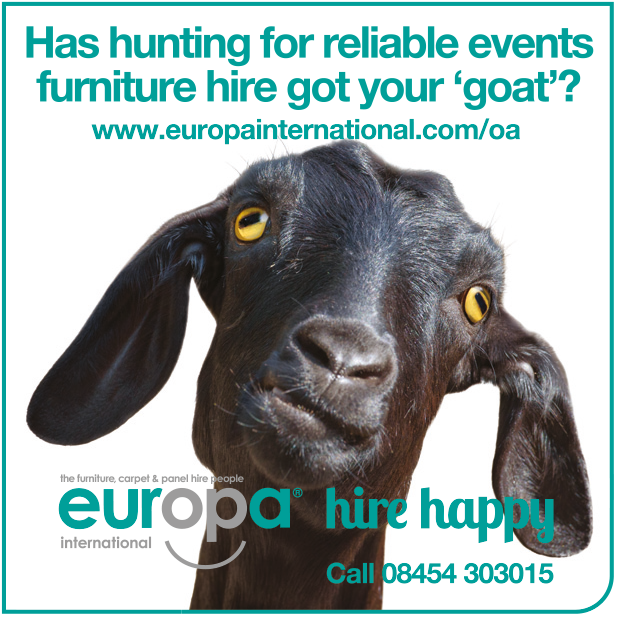 Oh – and if you happen to win, Open Air Business wants the scoop! A rural, feral upbringing sometimes pays off. Growing up on a smallholding has its perks, such as a mostly unsupervised childhood spent building woodland dens, treehouses and blanket tents – resulting in an eye for a good stick, and a creative imagination. Kate says she could still rustle up a den, but admits, even though it would be a low investment project, it wouldn’t deliver much of an income. Unlike a glamping site. These days, Kate’s ‘den building’ is a more sophisticated adventure, involving a hand-picked team of industry specialists, adding to her many years of experience, knowledge and creativity, all applied to every project. Above all, Kate takes pride in providing honest, impartial business advice that’s in her clients best interest. 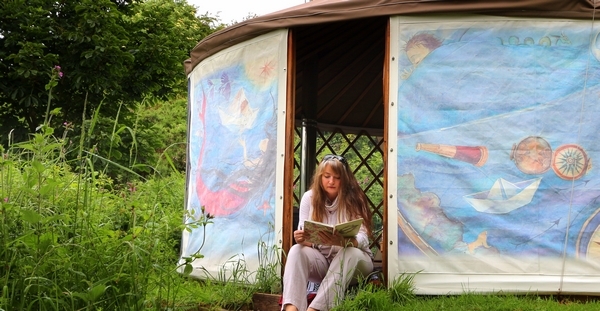 She is also, rather notoriously, always happy to talk at length about glamping, so if you have any questions about starting a glamping business, or just want a few pointers, her contact details are: info@katemorel.com, 07849 514588, www.katemorel.com, Facebook Group: Glamping Business Link.